The difficulty level of CAT is pretty much higher than other management entrance exams. With the Independence of India, there was a need to understand the growing business of numerous of emerging Industries. There was an abrupt rise in the in the number of Companies and the Industrial horizon broadened up. The Indian Government introduced some new laws to administer the Industries and ensure the fair practices in them. A need was felt to cater to the modernization of the Industry. The Indian workforce and the upcoming aspirants had to be taught about the new Business world. 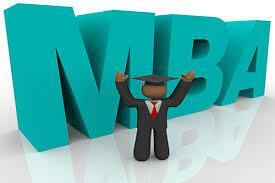 The Degree of the MBA was introduced first in the United States of America (USA) in the nineteenth century. The Americans witnessed the need to understand the business thoroughly and hence, proposed to devise a new course which will cover every aspect of Business. Soon, this course was introduced in the education system for the aspirants who wanted to make their mark in this field. The other countries overseas also embraced the Masters of Business Administration (MBA) course which was the key to understand the ever-growing business. The main focus was to develop the structure for this education in India which was at par with the other countries of the world. In 1949, Xavier Labour Relations Institute (XLRI) was established in Jamshedpur which is situated in the state of Jharkhand. Since its inception, XLRI has been a prestigious college of India. But to your surprise, the first college that gave an MBA degree in India was Indian Institute of Social Welfare and Business Management (IISWBM), Kolkata which was established in 1953. Many IIMs have been set up afterwards. Since the IIM Bill has been passed in 2017 in India, the IIMs have become autonomous bodies like any university. The functioning of IIMs is similar to those of any university. Since then, India has laid foundation of some of the excellent private MBA Universities/ colleges also. IIM Ahmedabad is the second IIM that was established in India. It came into existence in 1961 after the IIM Calcutta was founded. As per the NIRF, IIM-A ranks 1st in the list of Top MBA Universities in India with a score of 79.18. The IIM has an experience faculty which has a cumulative experience of 1827 years. Out of the faculty count of 128, 127 members of IIM-A have PhD qualifications. The reason behind the modern and top notch pedagogy of IIM-A is that it collaborated with the Harvard Business School for the initial period of five years. The median salary of the IIM-A graduates according to the NIRF official website is INR 21 lakh per annum. Apart from the IIM Ahmedabad, there are other MBA colleges in Ahmedabad which offer a lot to the students in terms of education and placements. IIM Bangalore is ranked 2nd in the list of the Top MBA Universities in India with a score of 77.33 by NIRF, MHRD. It was founded in 1973. IIM-B was the first management institute in India to introduce Executive General Management Programme in Aerospace and Aviation Management in the collaboration with Toulouse Business School, France in 2014. The Institute has a well-qualified faculty as all the 128 faculty members have PhD degrees. The Institute also has a rich flora and fauna species. Therefore it is always a centre of attraction for the nature lovers. Hence, IIM-B organizes a lot of events for the birders and many other events too. IIM Calcutta is ranked 3rd in this list. IIM-C scored 77.08 on NIRF’s Index. The Institute has healthy faculty count of 95 with a total of 94 faculty members who have PhD degrees. The Institute invest heavily in the research projects. In the year 2016-17, IIM-C invested an amount of INR 66,20,250. The Institution is friendly towards the Physically Challenged students and offers basic facilities like ramps, walking aids and handicapped friendly toilets to make it easier for them to sustain in the college. IIM Lucknow was founded in 1984. IIM Lucknow is known for its extra-curricular activities along with the academic growth of the students. Under the International Student Exchange Programme, 50 students are taken to the Universities in Europe and Canada. IIM-L has a rigorous routine as the students are asked to do the projects at a regular basis to keep their basics sharp. The Institute became first in kind in India to set up a satellite campus for the Executive Education at NOIDA, Delhi-NCR. IIM-L has the collaborations with the colleges/ Universities on 5 continents namely Asia, North America, Europe, Africa and Oceania (New Zealand). As per the NIRF, IIM-L is ranked at 4th position with a score of 68.63. IIT Bombay ranks on the 5th position in the list of Top MBA Universities in India by NIRF, MHRD with a score of 66.80. The Business School of IIT Bombay is also known as Shailesh J Mehta School of Management. The Business School of IIT Bombay is very reputed and has a good track record with average placement package of INR 15.40 LPA and the highest pay package being 29.9 LPA. The B-School only accepts CAT exam as the mode of admission in its campus. The campus invests heavily on the campus with around INR 7.2 crores spent on the various fields in the Institution. IIM Kozhikode has been placed on 6th position by the NIRF in the list of Top MBA Universities in India. The Institution scored 65.21 on the performance index of NIRF. Out of 75 members of the faculty, 72 are PhD qualified. In 2016-17, 347 Postgraduate students have been placed with the median pay package being INR 17.65 LPA. The Institution hosted 8 Executive Development programmes in 2016-17 with 295 participants involved within. This B-School has spent roughly an amount of INR 6 lakhs on Sponsored Research Projects. IIT-K is one of the oldest educational Institution of India. It was established in the year 1951. IIT Kharagpur has achieved 7th place in this NIRF list with a score of 63.36. The name of the Business School under the IIT Kharagpur is Vinod Gupta School of Management. VGSoM was established in the year 1993. To get the admission in VGSoM, a candidate requires above 90 percentile to clear the cut-off. The average salary package of the students in the batch of 2016-17 was INR 13.42 LPA. For the 2016-18 batch, the highest domestic pay package stood at INR 20 LPA and the highest International pay package stood at 27 LPA. IIT Delhi stands on 8th position in the list with a score of 63.31. IIT Delhi teaches Business Education through the Department of Management Studies (DMS). For the year 2016-17, the median pay package for the placed students was INR 15.4 LPA as per the NIRF website data. Total number of students placed in that same year were 46. The Institute is very good in its research and due to this fact, it has been very actively involved in publications of various research papers and citations. In the years 2014, 2015 and 2016, the Institute has published 327 publications and 138 research papers. The DMS Delhi provides an option to pursue Executive MBA for which the candidate needs to have a work experience of 2 years post degree. IIT Roorkee has been ranked on the 9th position by NIRF with a score of 62.95. The Department of Management Studies (DMS) offers education in Business studies. The highest salary package of DMS was INR 14.5 LPA and the median salary package was around INR 10.25 LPA. The Institute spent a total of INR 1.43 lakh on the Consultancy research project. The Institute has a total faculty of 15 members in the DMS and all of them are PhD qualified. XLRI is one of the oldest MBA colleges in India which was instrumental in establishing the benchmark of study of Business in India. The college stands at 10th position with a total score of 62.66 in the list of Top Management Universities in India according to the NIRF, MHRD. The total faculty available in the college is 72 and all of them are the holders of either PhD or MBA degree. The cumulative teaching experience of the faculty is 965 years. The college has a consistent level of performance with the students securing the top positions every year in bulk. According to the data on the Official website of NIRF, the number of students securing top ranks in 2012-13, 2013-14 and 2014-15 were 42, 30 and 31 respectively. The placement package of XLRI varies around INR 16 lakh per annum. For taking admission into these apex colleges of India, an aspirant has to do a lot of hard work and burn his/ her midnight oil to excel. Only sheer brilliance is needed to be in one of these Universities/ colleges. In India, there are various kinds of exams through which an individual can take the admission into the reputed MBA colleges of India. Some of the prominent Management exams are Common Entrance Test (CAT), Management Aptitude Test (MAT), Graduate Management Admission Test (GMAT), Common Management Admission Test (CMAT), and Xavier Aptitude Test (XAT). After giving the CAT Exam, the students can check and get a rough idea of what kind of colleges they will get admission into based on their expected score through CAT Percentile Predictor. It calculates the percentile by analysing the estimated marks in the different sections of the CAT exam as inputted by the student. The marks of the 10th and 12th class are considered by the predictor. Apart from the rest, the type of graduation degree is also considered, the gap year is also considered along with the work experience. The cut-offs of the IIMs are very high and above 99 percentile in the most popular IIMs like IIM Bangalore, Ahmedabad, Calcutta, Lucknow, and above 95 percentile in case of other IIMs like IIM Kozhikode, IIM etc. Whereas, the cut-off for the XLRI, Jamshedpur is 96 above percentile. The IITs also have a high cut-off. IIT Bombay, IIT Kharagpur and IIT Delhi have a cut-off of the order of 96+ percentile. Logistics Management and so on. At last, it can be said that the future of the Business study is secured, provided that timely amendments are done in the curriculum and more colleges are helped to reach and maximize their potential. The Ministry will certainly do the necessary for levelling-up the infrastructure of Indian MBA Colleges so that the talented Indian youth will surely find its way to the top and shine bright paving way for the others and act as future leaders. Why does it make Sense to Opt for Big Data Analytics Courses?